One of the last remaining shells set up by the notorious Carrillo Huettel, LLP, the former legal team that fed Awesome Penny Stocks most of their tickers, is beginning to display some attention grabbing activity. The MaryJane Group, Inc. (MJMJ), an appropriately named marijuana focused entity, put out news a little more than a month ago when they formed MaryJane Glassworks, LLC, a manufacturer of American-made glass pipes, bubblers, bongs and other glass products used in the consumption of marijuana and production of marijuana by-products. With the trickling of shares so far bringing down the price of MJMJ stock $9 from $11.50, the prepared trader who knows what’s going to happen here will be the one not left in the big puff of smoke. Anyone who was around for the multiple triple digit winners Awesome Penny Stocks pumped before the SEC, Interpol and every other fraud squad on the planet began to hunt the group down late last year knows that the chances of a company that was set up by the law firm of Carrillo Huettel LLP has an excellent chance of getting alerted on. However, with every big priced penny stock and the groups that have pushed them having fallen flat or been suspended early in their pump stage, seeing an email on MJMJ stock before The MaryJane Group gets a chance to make a real presence could be a recipe for disaster. ⇒ The address used when The MaryJane Group was still Pladeo Corp. was Circuito Porta Vicenza 3108, Fracc. Porta Fontana, Leon, Mexico, 37134. ⇒ They changed their business over from developing an online chat system over the Internet that offers a real-time direct transmission of messages to being focused on marijuana related entertainment which includes tours of smoke shops, a radio station dedicated to stoners, pretty much all a connoisseur of high-grade cannabis would want. ⇒ Lisbeth Guerrero, the original babysitter of the shell while it was Pladeo Corp. was replaced by Capital Growth Corporation’s Joel C. Schneider of 21 Alfred Road W., Merrick, NY 11566 in February when he acquired her 8,000,000 shares of the now MJMJ stock. ⇒ Other shareholders include Continental Equities LLC who was involved with ScripsAmerica Inc. (SCRC), Nyxio Technologies Corp. (NYXO) and CMG Holdings Group Inc. (CMGO) as well as AHB Associates which, although it seems to be clean, is surely in cahoots with the Carrillo Huettel program. 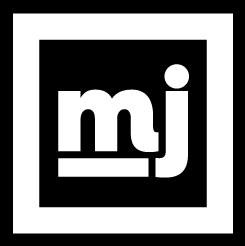 So, prior to the official launch of the MJMJ stock pump, the Company agreed, as part of the settlement deal, to no longer use the name “Mile High Times” for its future publications as well as change the name of the attendant website which is said to be “The Mile High Life,” and its website will be renamed www.themilehighlife.com. The MaryJane Group, Inc., through its wholly owned subsidiaries, Capital Growth Corporation, Mary Jane Entertainment, LLC, Mile High Times, LLC, Dab City Radio, LLC and Mary Jane Tours, LLC, is a development stage company focused on marketing, advertising and entertainment services surrounding the recreational marijuana industry in Colorado. Click here to view the SEC filings for MJMJ. Click here to view the website for The MaryJane Group. With a float less than 5 million, MJMJ is sure to become one of the penny stocks to be promoted in the very near future. Once the price of MJMJ stock comes down to under $1, traders will likely be front loading starter pieces in anticipation of the pump which is when all eyes are likely to shift towards it. With the history of the recent high-priced marijuana stocks having short-lived runs and the big promoters getting their tickers suspended almost immediately, this will be a risky play which still deserves to be watched for the launch. Last updated by Timothy Richards at May 28, 2014 .